Thanks to John for the following post and photos. 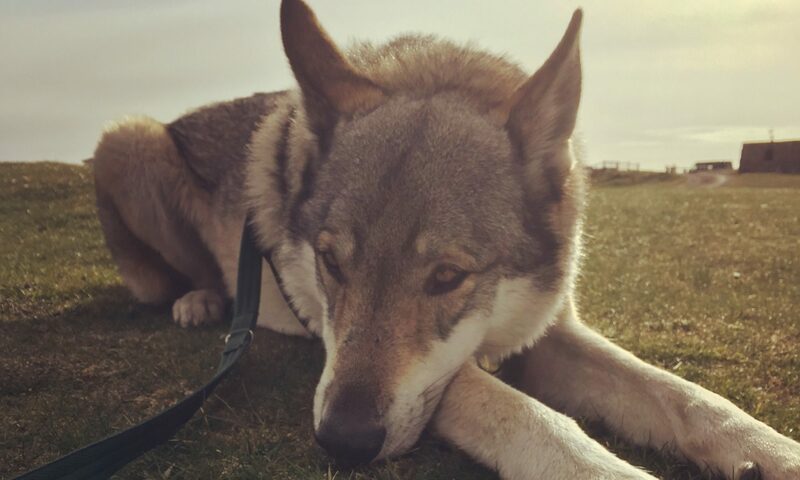 John lives in Greece and has rescued and rehabilitated his beautiful Wolfdog; Kala. “This image of kala was taken on day two in our home. She looks at ease and happy, but it belies a truth, one yet to be discovered, one we would have to find a solution for…..
…just minutes after I had taken this image, the sun moved in the west and cast a shadow on the studio wall – she noticed the shadow, leapt into the air and jumped terrified down a two metre terrace wall pulling me head first after her. She does not understand shadows -she may never understand. Inside the studio we block all shadows where possible. 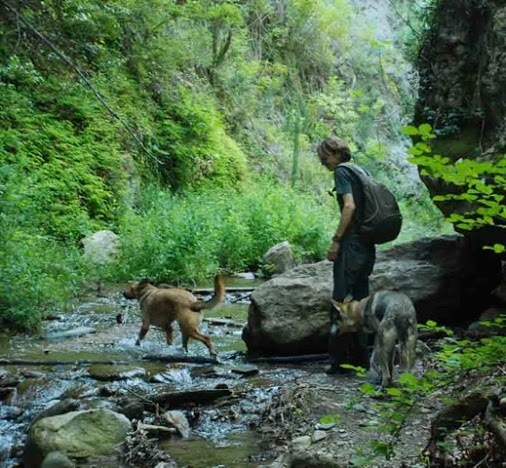 Kala was rescued from almost certain death at the hands of fearful villagers by “Samos Care” . Very little was know about her or the ill treatment she suffered or by whose hand. It was quite clear after the first week that to rehabilitate her would take time. Linked to observation , we figured a minimum of two years -but first we would have to provide a transition period from the past to the here and now and settle her in her new home. 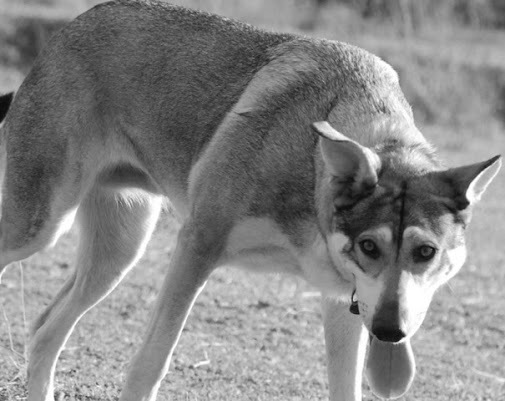 During this time she would reveal to us her misfortune, for example she was used to a lead, but would crouch submissively on the ground ,shook as we clipped the lead on -waiting it seemed to be beaten. Same with the food, she would not stand to eat or go to her food bowl alone, she waited for the lead to be clipped and led; again the fear of being beaten was in her eyes. If the metal part of the lead touched the bowl, the sound would cause panic, her mind overwhelmed by the world around her. We took it slowly, changing her key not overlaying one program with another. When she crouched for the lead I would walk on, she run away to hide. It might take thirty minutes or more for her to return, cowled waiting to be beaten. I would say ‘Bravo Kala’ , kiss her on the mouth, these kisses were very important ,reassuring her with her own language. The food bowl we wrapped in cloth, my partner sat next to her,quietly removing the lead. A year on she comes to the lead and stands, now its a kiss from her as she waits. The issues with the food bowl have passed, but her list of fears associated to abuse or imprisonment are endless , our approach with solving these fears, is when she is ready, not forced. 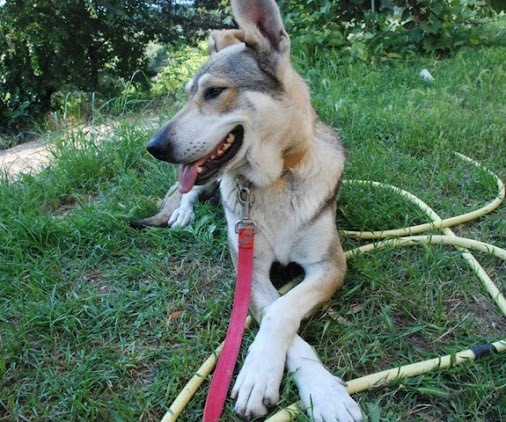 Kala’s story is so very sad, but it’s great knowing she was able to find a loving, stable home. Hope all goes well with her progress.